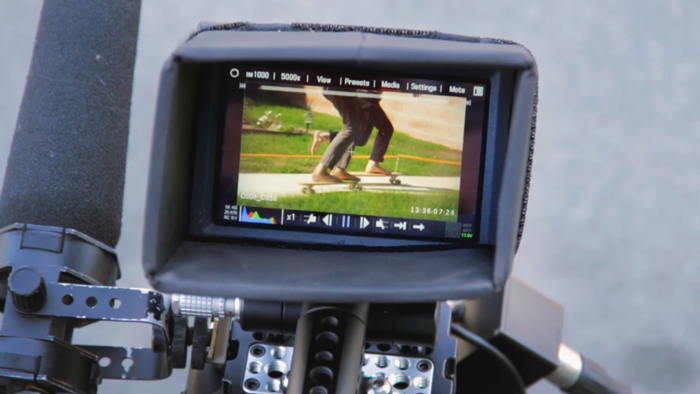 Here's the first of four behind-the-scenes posts, giving you guys an inside look at how we shot our Skate & Create segment "Past To Present" and where the inspiration came from. 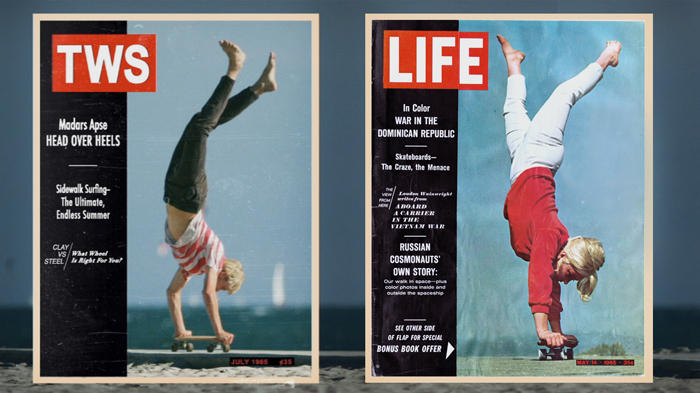 For the opening scene, we wanted to recreate the classic LIFE cover with Patti Mcgee doing a handstand on her board. From there we made fake article titles, gave it a vintage treatment, and sent Madars back in time. 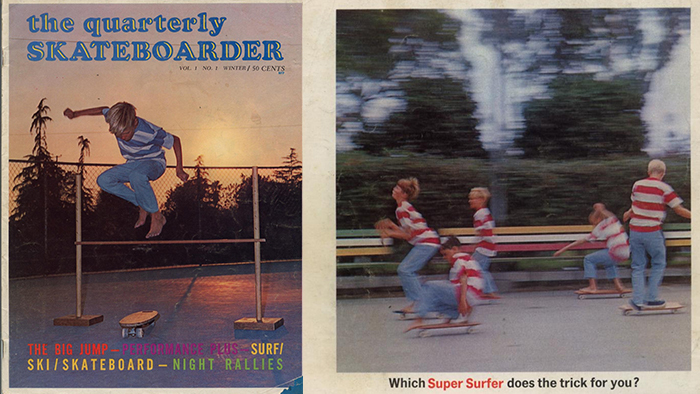 Although our boards looked vintage, we shot the 60s sequence on new Element cruisers. 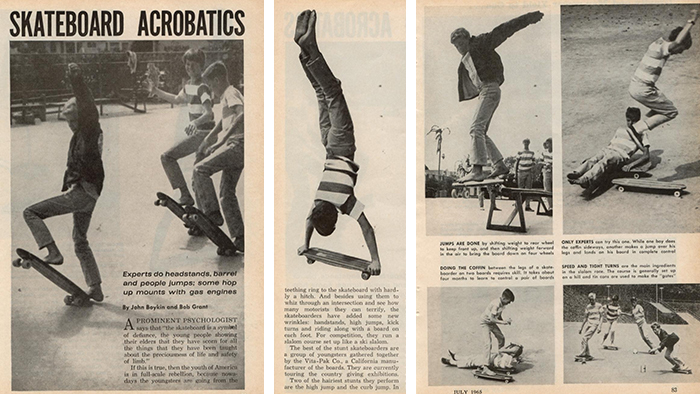 They were from a collab we did with surf pioneer, Greg Noll. Together we recreated what the first skateboards looked like, but made them with modern materials. So even though it looks (and sounds) like Madars and Nassim were riding clay wheels, they were actually urethane wheels. To keep up with the times, we had printouts and references of every magazine cover, article, and ad we could find from the era. Here's a few of the things that defined our look and sound of the opening segment. We noticed that the fashion then was pretty close to today; basic chinos and jeans, t-shirts, simple shoes, and classic style. 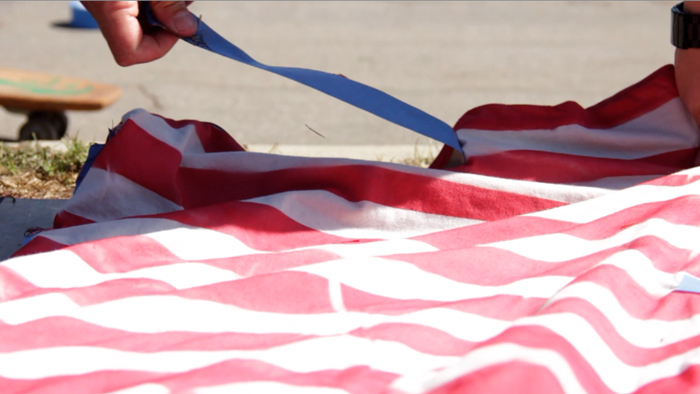 One thing that stood out though, was the big stripes, so we improvised and made our own. 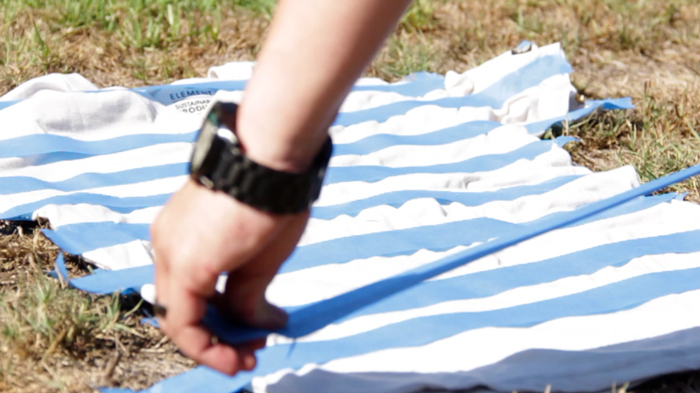 Here's a step-by-step tutorial of how to make your own striped shirt. 1. 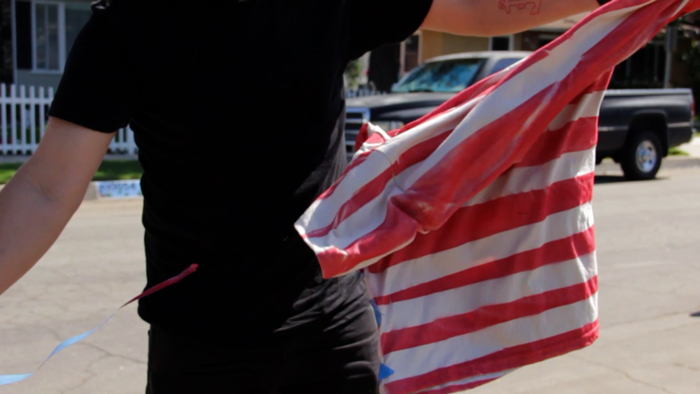 Lay your favorite shirt down on a flat surface, preferably not your friend's lawn. Then tape the shirt to make your stripes with masking or painters tape. 2. 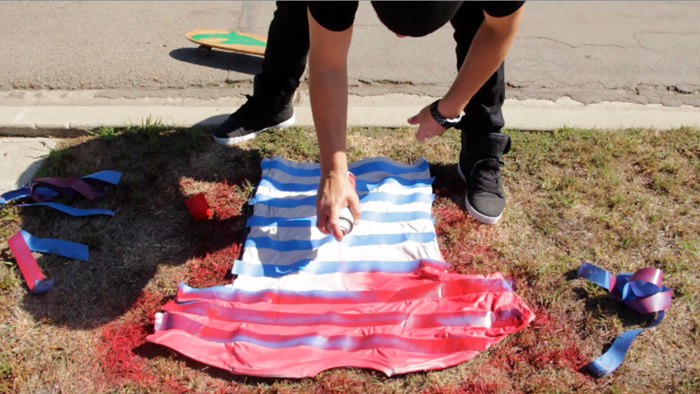 Spray the entire shirt in whatever colored paint you want the stripes to be. 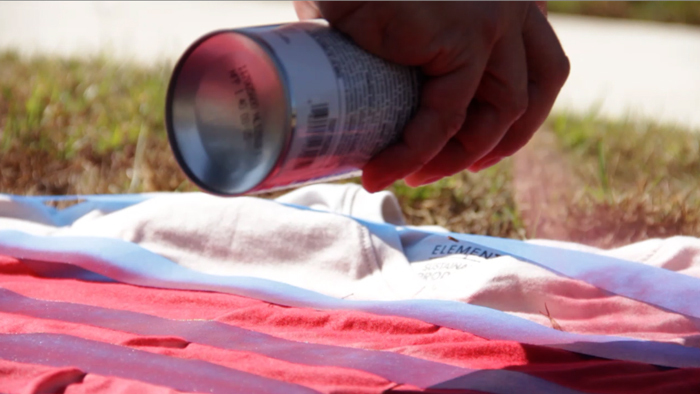 In this case we used red paint on a light cream Element organic cotton v-neck. 4. Voila, you have a striped shirt. 5. And like we said, don't do it on your lawn, and especially not someone else's… Sorry for killing your grass Ricki! Here's the crew watching some of the footage from the shoot. 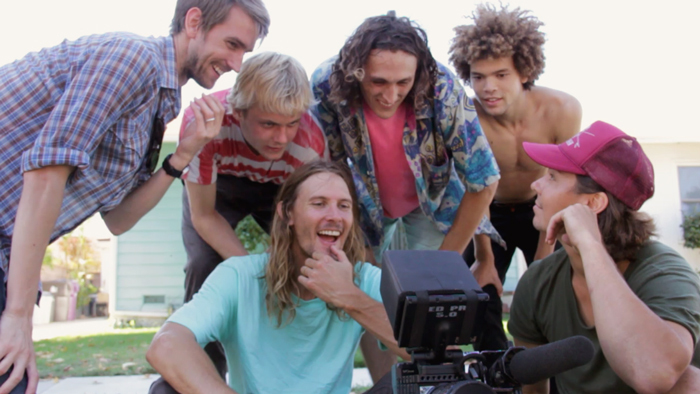 From left to right: Mark Stewart (Cameraman), Madars Apse, Levi Brown, Evan Smith, Nassim Guammaz, and Ryan Young (Director of Photography).